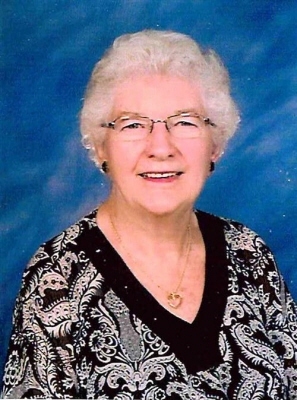 Marion Elizabeth Kirk, age 91, passed away Thursday, March 28, 2019 at the Our Lady of Providence Residential Care Facility. She was born in Brattleboro, VT on September 13, 1927; daughter of the late Arthur and Mary (Walsh) Rubeor. She graduated from St. Michael’s H.S. in Brattleboro, VT in 1945. She received her R.N. degree from the Bishop DeGoesbriand Hospital in 1949. She worked for many years in nursing, retiring from the Fanny Allen Hospital in 1987. Marion married Leo F. Kirk in 1951. Marion is survived by her children, Donna Little and her partner Clifford Thorpe of Colchester, Gary Kirk of Chesapeake, VA, David Kirk of Lake Havasu City, AZ, William Kirk and his wife Debbie of Milton, Tary Kirk and his wife Michelle of Colchester, her daughter-in-law Darlene Morgan-Kirk of Louisa, VA, 16 grandchildren and many great-grandchildren, nieces and nephews. She was predeceased by her parents and husband Leo, her sons John Kirk, James Kirk, Marvin Kirk, and her brother Arthur L. Rubeor. Marion enjoyed ceramics, golfing, bingo, collecting glass hats, cards and traveling. She was a member of the Champlain Echoes Women’s Barbershop Group. She and Leo enjoyed many winters together in Florida. Their summers were spent in Vermont at Apple Island Resort. Marion was a communicant of St. John Vianney Church, and had a special devotion to the Blessed Mother. A Mass of Christian Burial will be celebrated Wednesday, April 3, 2019, at 1:00 PM at St. John Vianney Church in South Burlington. The family will receive condolences in the A.W. Rich Funeral Home, 57 Main Street, Essex Jct. on Tuesday, April 2, 2019 from 5:00 PM until 8:00 PM. Interment will take place later this spring in the Kirk family lot in Shelburne Village Cemetery. Arrangements are entrusted to her family at Brady & Levesque Funeral Home, where online condolences and memories may be shared with her family and friends at: www.bradyandlevesque.com. To plant a tree in memory of Marion E. Kirk, please visit our Tribute Store. "Email Address" would like to share the life celebration of Marion E. Kirk. Click on the "link" to go to share a favorite memory or leave a condolence message for the family.